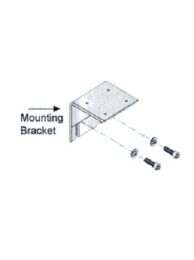 Assembly Kits: for mounting transporters to chuter trays. 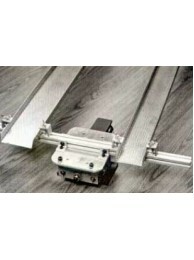 Universal Mounting Bracket: for mounting transporters to press, bolster, conveyor or any application. Additional Clamp Sets for attaching chutes/trays to P/A Industries pneumatic transporters using The .. Assembly Kit for attaching chutes to P/A Industries TP-10 pneumatic transporter. Assembly includes 2.. Assembly Kit for attaching chutes to P/A Industries TP-140 pneumatic transporter. Assembly includes .. 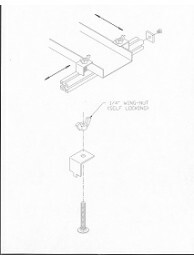 Assembly Kit for attaching chutes to P/A Industries TP-40 pneumatic transporter. Assembly includes 4.. Assembly Kit for attaching chutes to P/A Industries TP-70 pneumatic transporter. Assembly includes 7..
Universal Mounting Brackets are for outfitting The Chuter System to your application. Use the bracke..